Transfers of property, including family farms are subject to gift tax and the tax is charged on the current market value of the farm. There is a tax free threshold of €310,000.00 for a son/daughter and all gift/inheritances taken since 1991 are taken into account to calculate this. The thresholds are generally less for other relatives and particularly for people who are not related. However, there is a tax relief that can be used to transfer agricultural assets called “agricultural relief”. This reduces the value of the land and any qualifying farming assets and a farmhouse to 10% of its actual value where the beneficiary is deemed to be a “farmer”. “Farmer” in this context does not mean somebody who actually farms but is actually a financial test and in this context means a person whose farming assets (including the value of the current gift) exceed 80% of their total assets. Gift tax on the excess of the property that is not within the threshold is taxed at 33% currently (2014). Stamp duty is charged at 6% on the transfer of farmland but a reduced rate of 1% currently applies where the transfer is to a family member but this relief is set to be abolished with effect from Dec 31, 2014. Stamp duty is charged on the current market value and accordingly a current auctioneer’s valuation will need to be obtained in this regard. However, there is a full exemption from stamp duty in the case of a transfer to a young trained farmer. This exemption from stamp duty is to encourage the transfer of farmland to a new generation of farmers with relevant qualifications. The transfer may be by way of gift or sale. The farmer must be less than 35 years old. The farmer must have one of the necessary agricultural qualifications. The farmer must undertake to spend not less than 50% of his/her normal working time farming the land after the transfer. The land cannot be sold for five years. The exemption granted will be clawed back if the land is disposed of within 5 years from the date of execution of the deed of transfer and is not replaced by other land within one year of disposal. The exemption is set to continue up until the 31st of December 2015. When somebody transfers property that is not their family home, capital gains tax is charged on the difference between the value of the land when they acquired it and the sale price. Even if the property is transferred by way of a voluntary transfer where no monies pass, the relevant value is its current market value. Tax is charged at 33%. There is relief, however, provided to farmers over 55 where the property has been farmed by them for the previous ten years. (There are relieving provisions where the land has been let.) There are certain restrictions when the farmer is over 66 (from 2011 onwards) but in general these are not onerous restrictions. 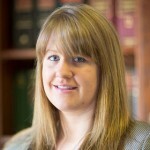 With a strong farming background, Laura has hands-on experience of rural agricultural matters and with that a broad knowledge of Agricultural Law with a particular emphasis on the transfer of farms to the next generation and succession planning for farmers and their families.